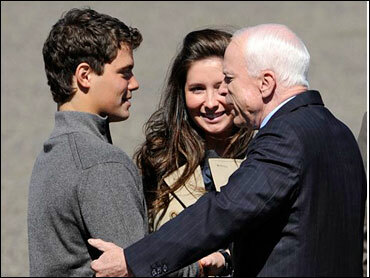 PALMER, Alaska(CBS/AP) Playgirl cover model and amateur hockey player Levi Johnston did not attend a court hearing last week regarding child support payments for his young son. Last Thursday, a judge approved Levi's former fiancée's request for child support at a hearing that was not attended by the well-known media gadabout. The amount has yet to be determined, but will likely be based on Levi's considerable earnings in the entertainment field - estimated at over $100,000. Judge Kari C. Kristiansen informed Johnston's attorney that it would have been better if his client had participated in the hearing. Photo: Johnston at a public event. The nineteen-year-old mother gave birth to Levi's son, Tripp, not long after the Wasilla, Alaska native rose to national prominence, and is asking for $1700 a month in child support from the celebrity. Judge Kristiansen set another court date for Sept. 23-24, but urged the couple to reach an agreement before then.